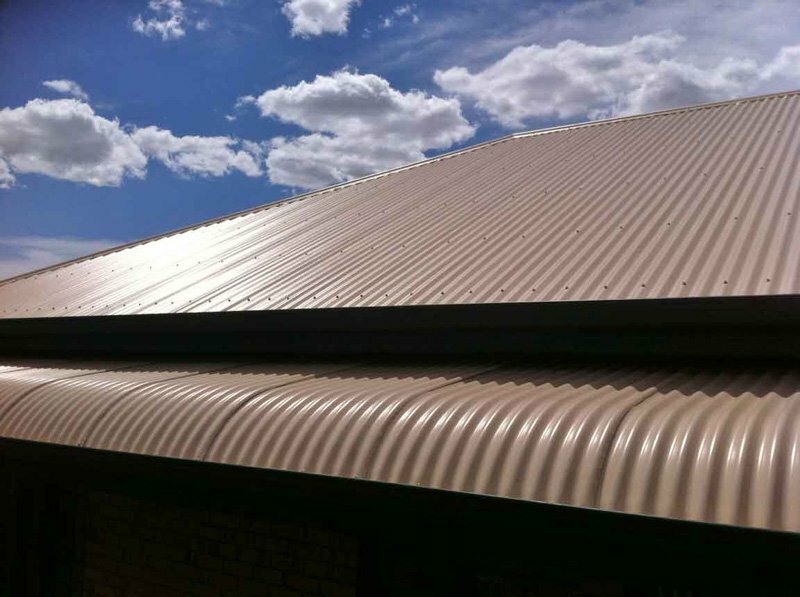 Tested for 50 Years in Australian Conditions, Colorbond® Roofs are Designed to Last! Your roof protects your most precious investment, your house and family. You can be confident knowing Colorbond® steel is versatile, lightweight, durable and capable of meeting the changing needs of your lifestyle. Colorbond® steel will meet up to the Australian conditions and protect your home no matter what mother nature throws at you. 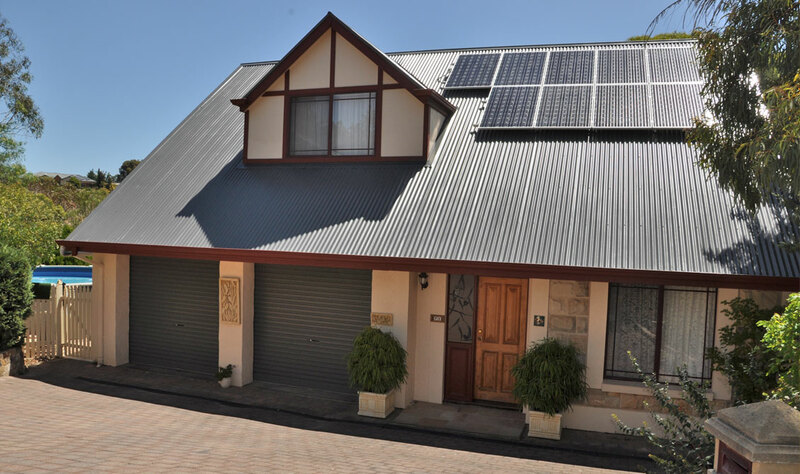 A Colorbond® steel roof replacement makes perfect sense: it is strong, secure, versatile and energy smart. Colorbond® steel is tried and tested in Australian conditions to look great and deliver outstanding, long life performance. Available in a wide range of profiles and colours, a Colorbond® roof replacement is more than just metal roofing: it is acoustically and thermally insulated roofing that keeps your house cooler in the summer and dampens the sound of rainfall in the winter. 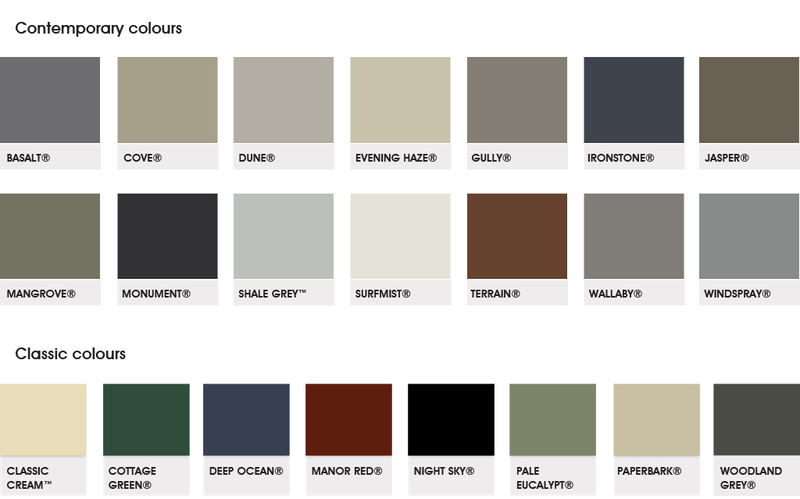 Colorbond® steel comes in a range of 22 designer colours and offers a classic and contemporary colour palette to enhance the beauty of your home. Now you can choose a roof colour that sets the theme for your whole home, or complements your other building material choices. 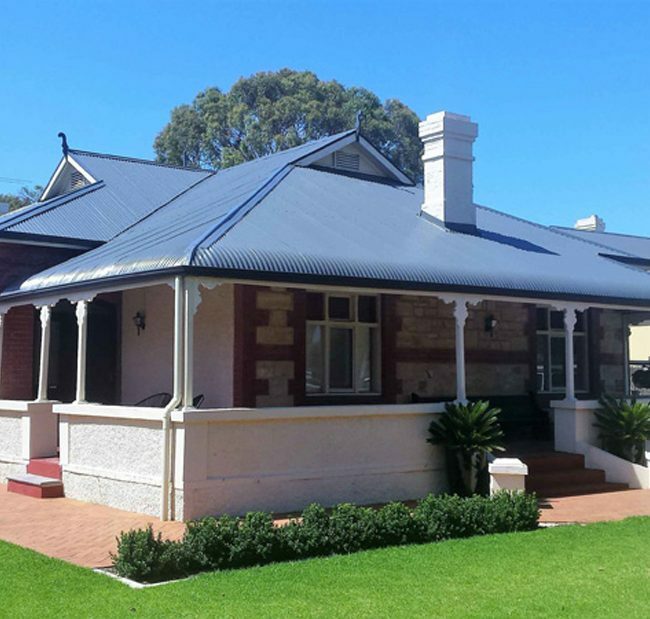 For looks that never fade, Colorbond® roof replacements rely on advanced paint technology that provides a durable, baked-on paint finish that resists peeling, chipping and cracking. Unlike other roofing applications, Colorbond® steel roofing will look better for longer and becomes an extension of your personality. 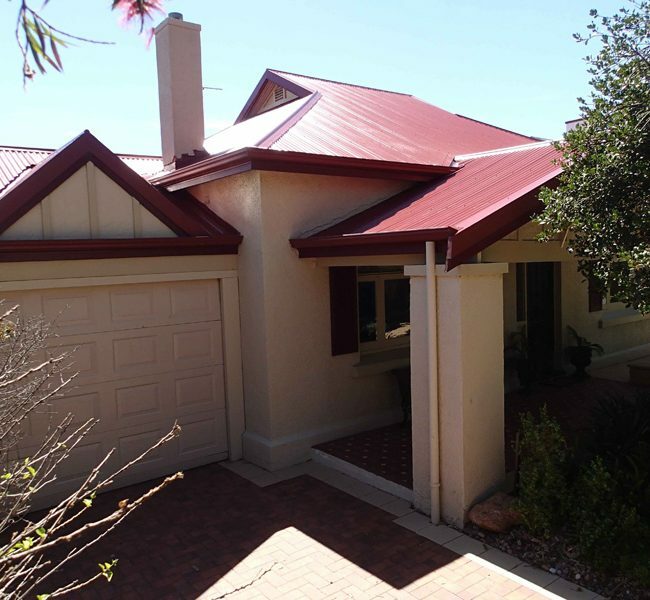 In particular, you can ‘mix and match’ colours with your gutter, fascia and down pipes made from Colorbond® steel; your dedicated Roof & Render SA consultant will be happy to take you through your colour options. To get you started, download a brochure and be inspired. 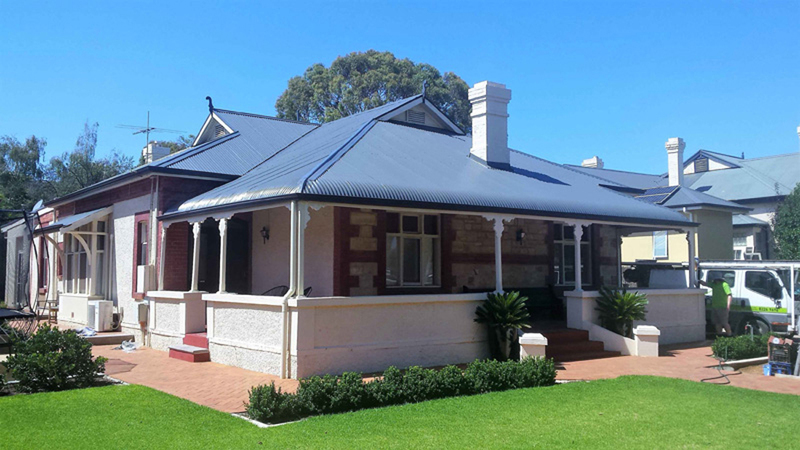 LIGHTWEIGHT – Colorbond® roofing is much lighter than tile roofing. This means handling and installation is easier and faster and avoids placing a heavy load on the roofing sub frame. You can use lighter battens and space rafters further apart to save cost. 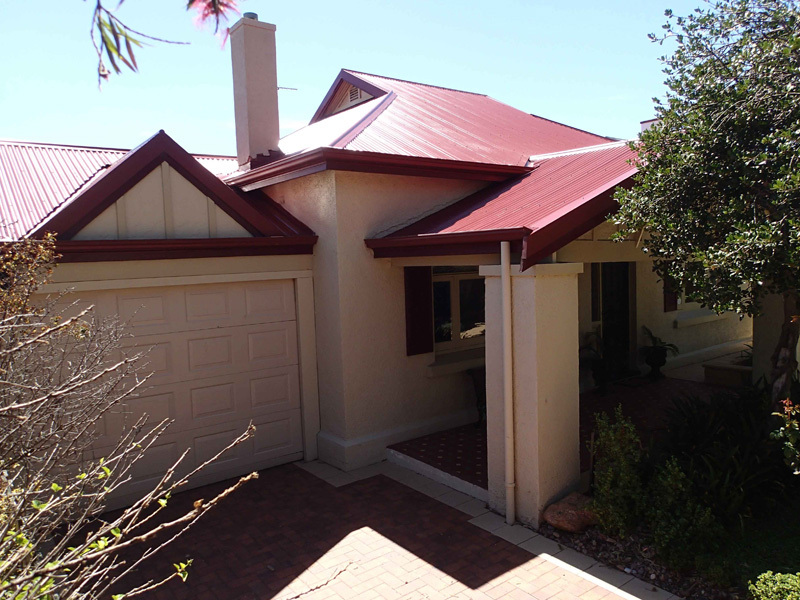 LOW MAINTENANCE – A Colorbond® roof offers a stable surface and requires low maintenance. If you ever need to repaint or clean your roof the chance of damaging it is slim, whereas paint can peel and tiles can crack. The last thing you want is a cracked tile roof exposing the sub frame to the elements. With its legendary durability, a Colorbond® roof always outperforms a tiled roof which can simply crack or dislodge if you walk on it. Also, heavy tiled roofs may require periodic strengthening. 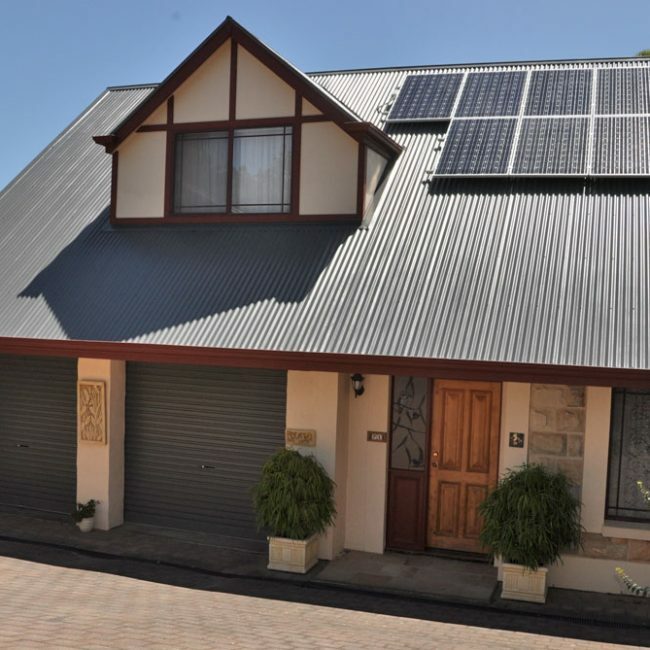 LONG LIFESPAN – your new Colorbond® roof can live up to 70 years whereas a tile roof is prone to cracking under typical extreme Australian weather. 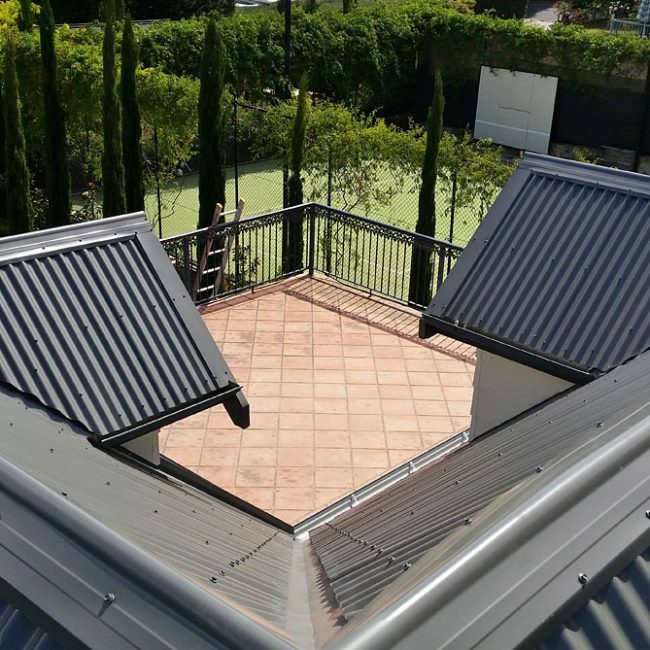 Another issue you won’t have to worry about is problem leaks that usually occur around ridge capping areas on a tiled roof because Colorbond® ridge flashings are easier to install and last longer. EXCELLENT INSULATION – most people think it’s just heat that needs to be kept out, but they seem to forget about sound. Ever been in a house with a metal roof during a rainstorm? 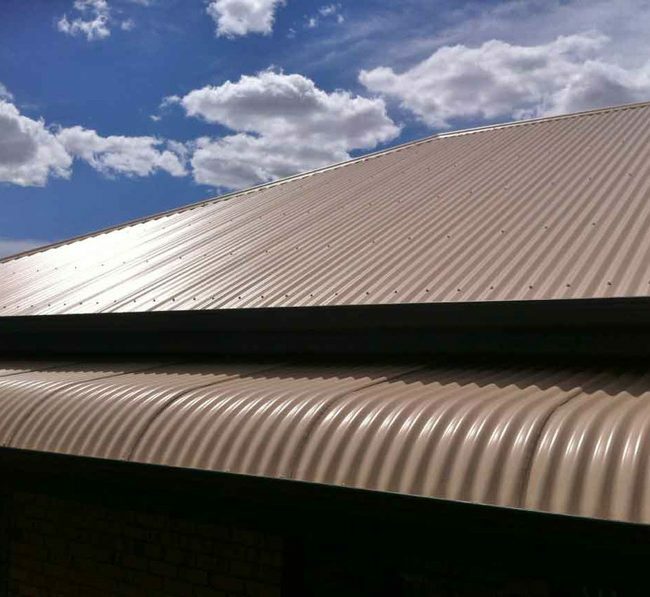 We install Colorbond® roofs thick insulation blankets that keep the heat and external noise out. 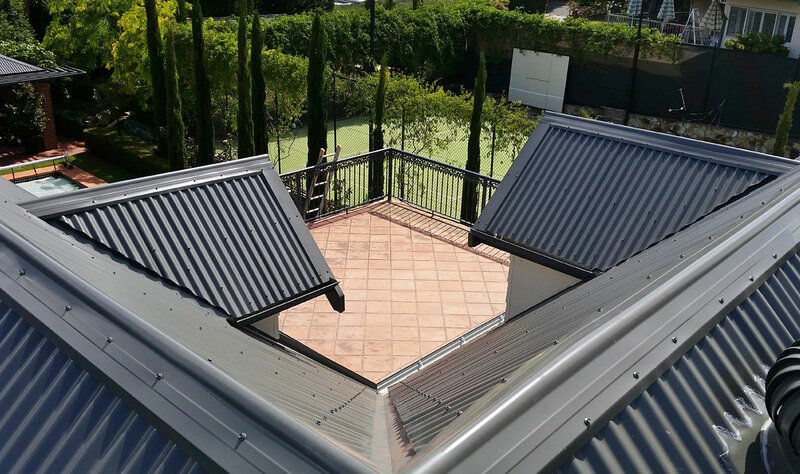 DESIGN FLEXIBILITY – a Colorbond® steel roof replacement can be installed on a very low pitch or even flat roof whereas tile roofs require an adequately pitched roof to avoid leaks. This is also worth considering if you are faced with height restrictions.